Windows 10 is just a few months away and -- surprise! -- it will come with Candy Crush. Microsoft (MSFT) says the popular mobile game will be automatically installed for people who upgrade to Windows 10 during launch. In the future, other games from King, the software company behind Candy Crush, will become available too. While Thursday's announcement drew excitement from fans of the addictive shape-matching game, most people on Twitter balked at the decision. "This has got to be a joke right?" Paul Haddad, a prominent developer, tweeted. Microsoft also announced that old Start-menu classics, including Solitaire and Minesweeper, would also make their way back to the newest version of Windows. There's still no exact launch date for Windows 10. In March, Microsoft said that it would be sometime this summer. Windows 10 will be a free upgrade for current Windows 7 and 8.1 users, as well as Windows Phone 8.1 customers. Microsoft hasn't yet announced pricing for people using Windows Vista or earlier versions. 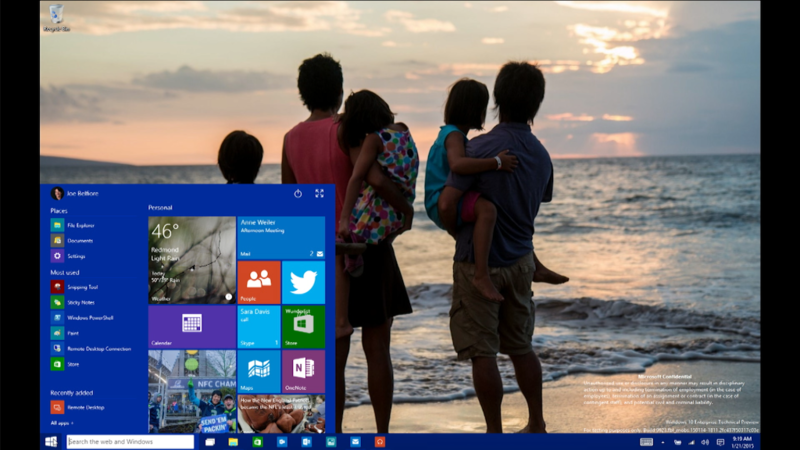 Windows 10 will be Microsoft's first major update to its operating system in three years. Microsoft understands that Windows 8 wasn't well-received by customers, and most of its updates to Windows 10 reflect that. Windows 10 brings back the Start Menu, which organizes all of the tiles that were abundant in Windows 8. Windows 10 boots straight to the desktop, and it stays there. Internet Explorer is taking a backseat to a new and improved Web browser. Microsoft's Siri-like Cortana voice assistant will live in the task bar. You can run multiple desktops. A new notification and "action" center gives you a quick glance at your PC's status. And you can even unlock Windows 10 with facial recognition software. And if you upgrade to Windows 10, you'll get free Windows upgrades for the life of your PC or phone. -- Additional reporting from David Goldman.